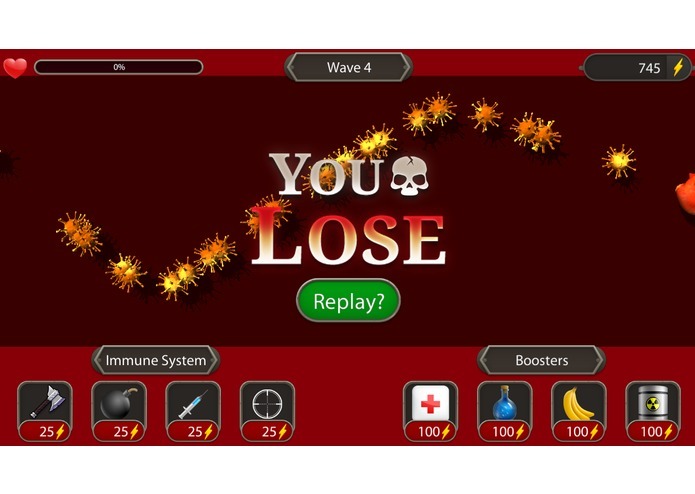 This game was created to demonstrate how the immune system deals with viruses on a daily basis and educate on way to defeat many known illnesses. 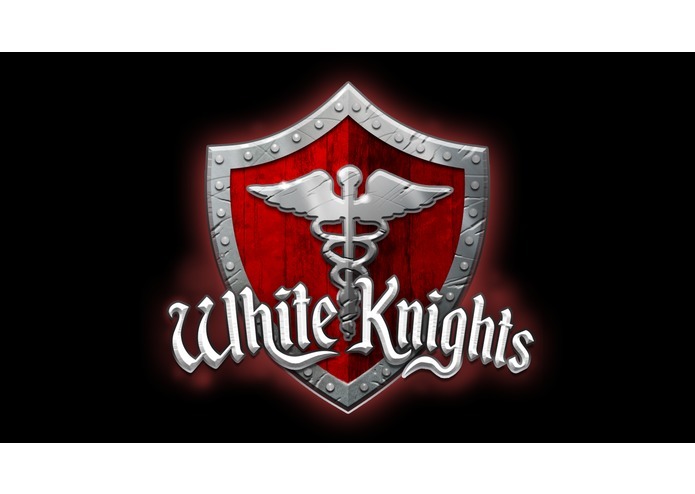 White Knights uses a tower defense system with waves of deadly viruses invading. To succeed, the player must construct a strong defense system and manage energy costs for upgrading and boosting. Built using Unity's WebGL compiler and uploaded to OpenShift's scalable pod system. Research medical and health information to create something educational without being too scholarly. The result is a nice balance of immune system simulation and health data. 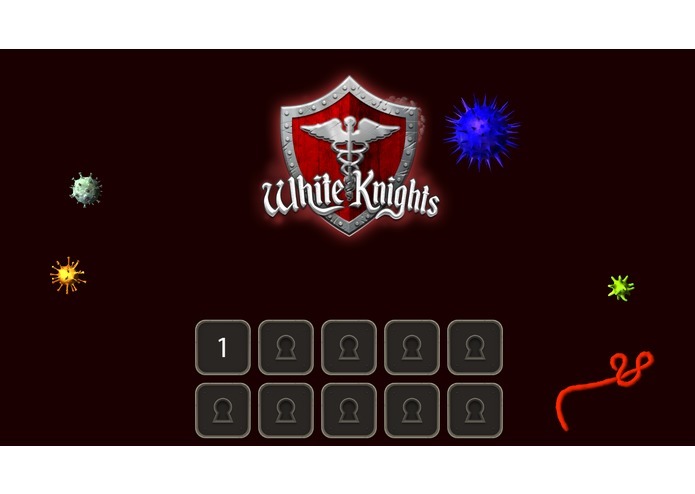 Displaying educational information using a game format. We have created a fun and intuitive way to learn about various ways to keep a strong immune system. Viruses are no joke and our immune system has its hands full daily to keep our bodies healthy. 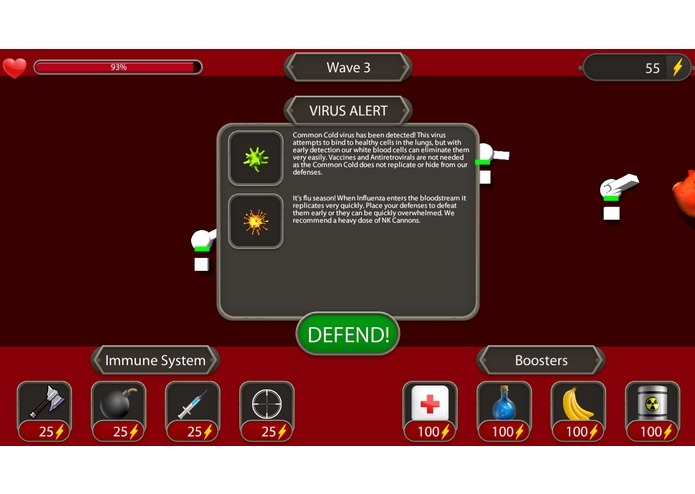 We updated the UI and music for the game and also added more in-depth cut scenes that describe scenarios in which a patient can be infected with viruses. This gives a better connection to the gameplay and adds a much needed human side.